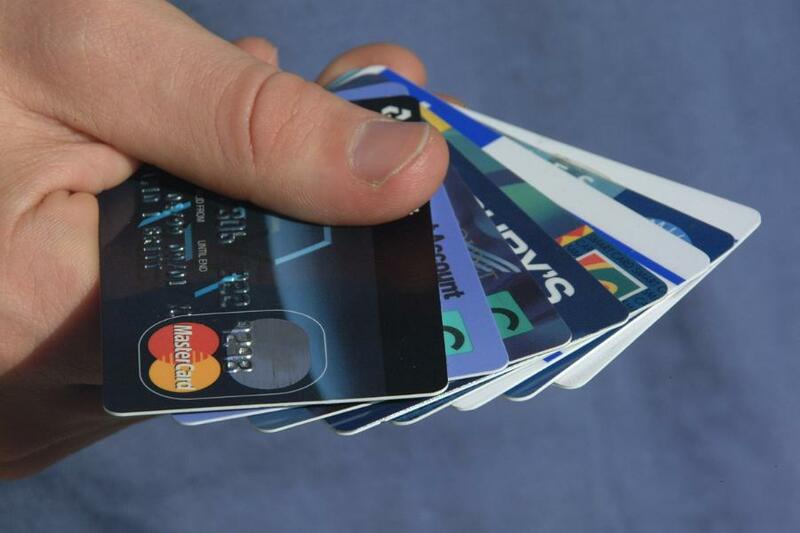 Will applying for rewards cards hurt your credit score? Ever see the reward cards that advertise thousands of travel miles for just opening an account? I recently got the Capital One Venture Card and was wondering how my credit score would be affected if I applied for several of these cards. The last time I checked my credit score, it was at 717. That was on June 12, 2010. Since then, I have applied for 4 different credit cards. The purpose for applying to each of these cards was to earn free miles. The four cards I applied four earned me 200,000 miles. That’s good for 4 round trip tickets to many international destinations. So how did this impact my credit score? Last time I checked my credit score, I did so using MyFico. Now it costs $20 to get a credit score at MyFico, so instead I’m using Equifax. You can view your FICO® score through Equifax for $15.95. I’m happy to report that my credit score as of 5/13/2011 is 752. An actual increase! Why did it go up? I can think of a few reasons. I only had one credit card before, so more credit cards improved my utilization rate. I paid all of my bills on time. I didn’t apply for many credit cards all at once. Although, I’m not entirely sure if this helps or not. One of the biggest assumptions about travel hacking is the negative impact on your credit score. Everyone’s credit situation is different and nobody knows exactly what goes into this calculation. However, my point is that you should always test assumptions. Many times, they’re incorrect. Stocks are still on sale, BUY, BUY, BUY! During a recession, the fundamental value of a company changes some and the perceived value changes A LOT. People worry that the economy won’t recover and forgot that recessions happen periodically. They see their investment balances dropping fast, become terrified, and sell their stocks. Stock prices continue to drop until people feel comfortable investing again. This is the best time to buy! It’s a sale. Stock prices in a recession resemble a post-Christmas sale—which are the lowest prices of the year. (When else can you buy a $300 Banana Republic jacket for $15?) Think of a recession as a surprise sale (a cyclical discount on stocks). If you have extra cash now, buy! If you don’t have cash, get ready for the next major sale. It will happen. We’ve had 4 recessions since 1982 (Dec 2007 – June 2009, March 200 1- Nov 2001, July 1990 – Mar 1991, and July 198 1– Nov 1982). During the next recession when everyone else is running out of the market, we’ll come in with buckets of cash, buy stocks on sale, and bolster the economy! Ha, buying during a recession helps you and helps the national and world economy! Call that my community service message for the day. Have you been investing during or after the recession? If not, are you thinking about getting in? Share your experience! My recent car accident is a great example of why you need an emergency savings account. I was riding my bike to work one Friday. I took my regular route. Traffic was normal. Nothing was out of the ordinary . . . then bam! I got hit by a car, flipped over the car with my bike, and landed on the concrete on top of the bike. So far the medical costs have been $1,230! Do you have $1,200 lying around your checking account? I don’t. Those were only the medical costs! For the next 3 weeks, I was using pain killers, crutches, a neck brace, and a wrist brace. I looked as bad as I felt and used a few luxuries to ease my suffering. I took cabs more often and bought lunch and dinners, rather than carry food to work or standup to cook. I also bought some clothes as a distraction. 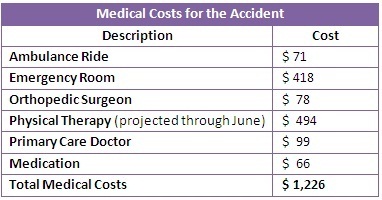 So far the accident has cost me $1,512! Without an emergency savings account, I would have gone into credit card debt. 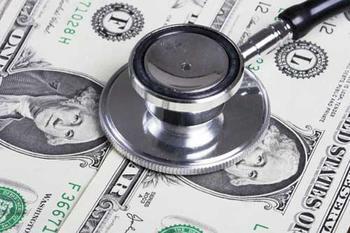 Medical costs are the #1 reason for bankruptcy in the US. Emergencies—car accidents, losing your job due to the recession, needing a new set of tires, a flood in your apartment—are surprises. That’s why you NEED an emergency savings account. You can start one this week by saving $5, $25, $50, or any amount your can consistently save each month. What would you do if you had a $1,500 accident? If you don’t have an emergency savings account, how will you start one? I’m Back! Car Accident Can’t Hold me Down! Everyone, thanks for the emails and messages I received! You cheered me up during those first, most painful weeks. I am going to physical therapy now. I’m not 100%, but I’m on the way to a full recovery within the next few months. I now have the strength and energy to comfortably type for a short period and will start posting weekly again! I wanted to let you know I’m still here. 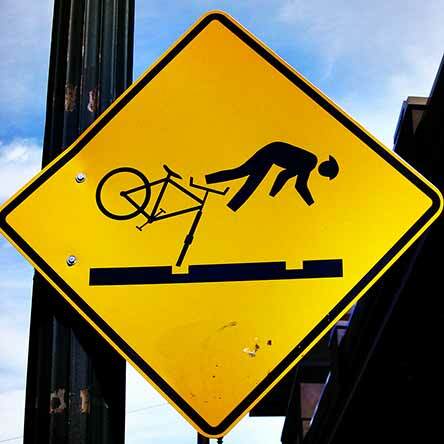 I was hit by a car while riding my bike. I flew over the car with the bike, landed on the concrete on my left side, and was taken to George Washington Hospital in an ambulance. After several x-rays, CT scans, blood tests, etc, it turned out I had lots of bruising and sprains. I’m wearing neck and wrist casts and using crutches. I feel lucky. There was no damage to my head (I can still write witty posts!) nor broken bones. I’ve been on pain killers and resting. I’m getting better and will be back to posting soon! Promise! We meet in an elevator. You’re stoked & ask for book recommendations . . . If you want to beat the market, read all of these books before making the first trade, opening up a brokerage account, or otherwise throwing your cash into a crapshoot. If you’re not willing to read just 4 books, you should get out of the game. If you still want to beat the market after reading, go for it! Track all your trading costs, losses, and gains. In 10 years, if made any money, let me know! I’ll be surprised and happy for you! Losing weight rocks, paying for a new wardrobe doesn’t! From last Feb. to August, I dropped 3 dress sizes. At first it was easy to transition my wardrobe by pulling out clothes that used to be tight. After awhile, even those were too big. I thought, I could spend money and time scouring stores, or I could delay buying new clothes as long as possible. Then I ran the numbers for buying 2+ months of work clothes while mixing in a few pieces I already owned. $1,100 for 40+ days of fab outfits from BCBG, French Connection, Banana Republic, Marc Jacobs, Ann Taylor, and others designers is a bargain, but that’s still $1,100 gone forever! And that’s just work clothes. My play wardrobe would be a few hundred more. Rather than hand over a chunk of cash when I may still drop sizes, I decided to delay shopping. I’d have more time for fun stuff—like this blog—and money for traveling, where I could show off my new body on vacation. I challenged myself to delay shopping by creating new looks until I ran out of clothes. I thought it would last a month, a month-and-a-half tops. Instead it worked for 9 months, from March until November. Instead of buying new clothes, I became more creative with styling, using belts and jackets, and mixed pieces I wouldn’t have dared to before. I bought a few belts a month ($200 total) in several colors—yellow, black, red, brown, blue—and textures—polished leather, cloth, and satin—to create empire-style dresses or a regular waist line on pants & skirts. Sometimes, a long, loose skirt became a dress, if I used a wide belt to create an empire waist. Pants with a loose waist looked polished and elegant with a wide belt cinching me in. I wore suit jackets out dancing on Sat. nights with tube top dresses underneath. Boyfriend sweaters made conservative work clothes trendier. I saved over $1,000 and got more compliments than before! Many times I’d go to work thinking, “This outfit will be the last straw. My manager is going to flip.” Then I’d get tons of compliments. Eventually, my team and most of the floor decided I was their resident fashionista. The irony is, avoiding shopping made me more fashionable because it pushed my boundaries and forced creativity. Then I played around with food scarcity. For a week, I’d cut all carbs except beans. I now know hundreds of ways to eat beans (black, garbanzo, light red kidney, cannellini, great northern, etc) with salsa, chicken, fish, Asian sauces, basil, eggs, etc. I also experimented with shrimp, potatoes, spinach, and much more. The scarcity experiments saved me tons of cash and taught me to trust my gut. Overtime, I got better at pairing diverse items (clothing & food) to create something fabulous! Have you ever done a scarcity challenge? Interested in trying a fashion scarcity challenge? How about going 60 days without shopping and seeing what creativity ignites? What would you do with all the money and time you save by not shopping? 99% of Buffett’s wealth was earned after his 50th birthday!! Buffet & I Agree on The Best Time to Invest! Money is a Magnifier! What Does Your Spending Say about You? How I stayed at the Hilton in Bali with ocean views and a private beach for free! Content on Financially Fab is general information and each person's situation is unique. When managing your money, research your options and get professional advice as necessary. Remember, you're the ultimate decision-maker.